Professional windshield repair and replacement . . .
CSN Dundas Valley Collision is an auto body shop offering quality collision repairs to Dundas and surrounding areas, including Hamilton, Ancaster, Waterdown, and Flamborough. Offering a full range of collision repair services, including auto body and windshield repair. CSN Dundas Valley Collision would be happy to provide you with a free collision repair estimate. 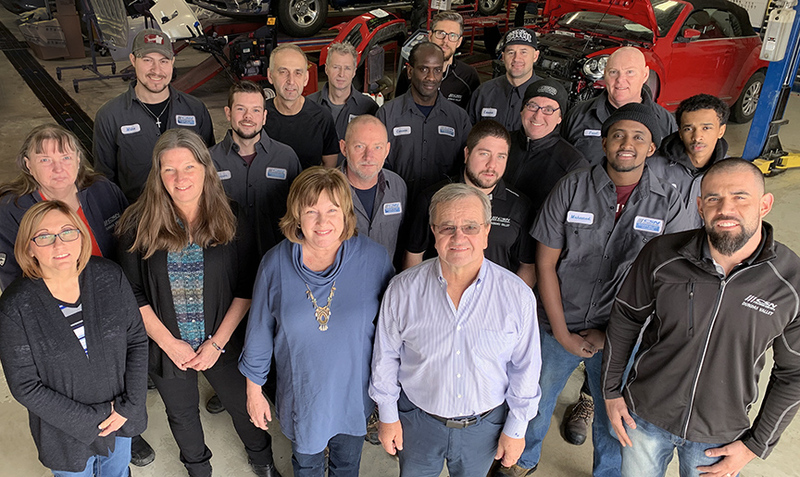 Since he opened the business in 1979, local resident and CSN Dundas Valley Collision owner, Alex Szabo has dedicated himself and his team to providing the very best collision repair services. The entire team at CSN Dundas Valley Collision are involved and committed to the betterment of the communities of Dundas, Hamilton, Ancaster and region. CSN Dundas Valley Collision is a preferred or direct Hamilton insurance repair facility for a number of insurance companies. We are a proud member of CSN, a national network of select collision repair facilities. CSN Dundas Valley Collision is the winner of numerous consumer and industry awards, including Bodyshop of the Year in Canada. We are committed to excellence in the accident repair process and we continuously implement new technology as it becomes available.